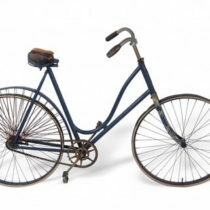 During the 1880s bicycling became very popular, and many cycling clubs opened across America. 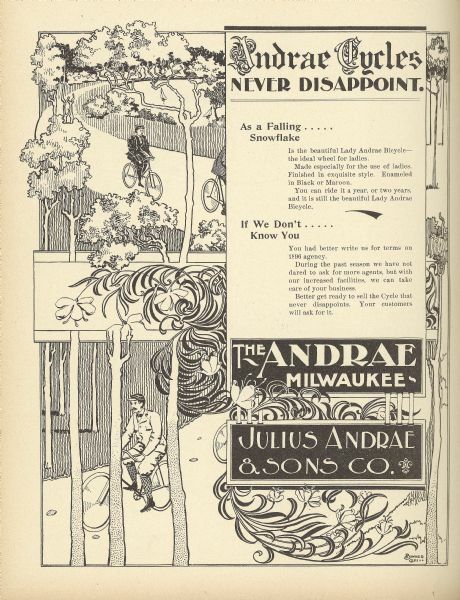 The Badger Wheelmen was a cycling club based in Milwaukee. In clubs, cycling fans could meet and share their love for bicycles. 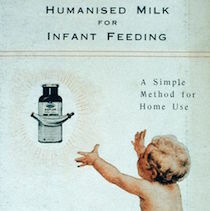 In that era, many people joined social clubs to improve themselves or the world around them. Members wore pins like this one to show they belonged to a club. 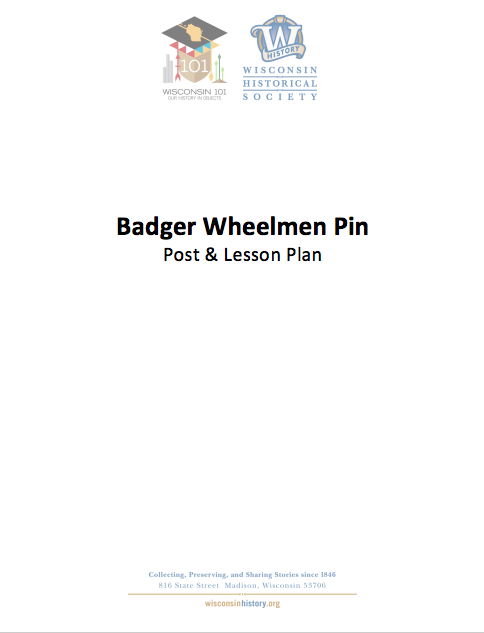 Badger Wheelmen wanted more people in Wisconsin to like cycling. One way they shared their love for cycling was by holding bicycle races. 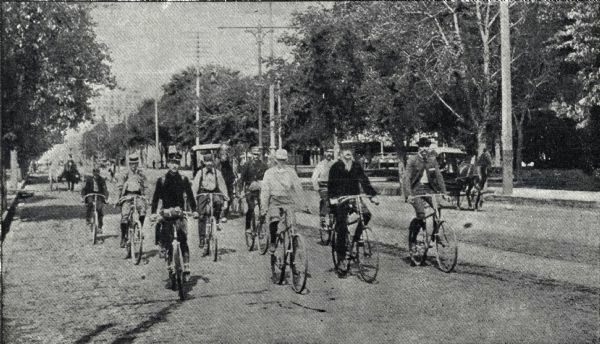 A men’s cycling club riding through the streets of Minneapolis in the 1890s. Image courtesy of the Wisconsin Historical Society, image ID 107667. Kids could also join the Badger Wheelmen club. Often, their fathers were in the club too. The kid’s cycling club had two earlier names: Little Push and the Junior Cycling Club. 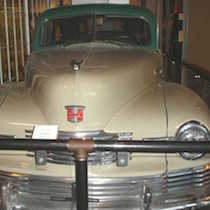 Their clubhouse was in Milwaukee at the corner of Wells and 22nd Street. 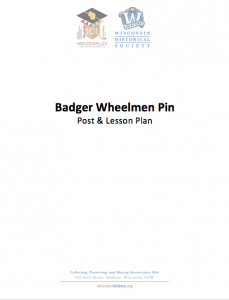 To join the Badger Wheelmen’s club, a man needed two active members to vote “yes.” It cost 50 cents to become a member of the club, and after that members had to pay $6.00 each year to stay a member. The Badger Wheelmen did not let women or African Americans become members of their club, even though many women and African Americans also loved to cycle. 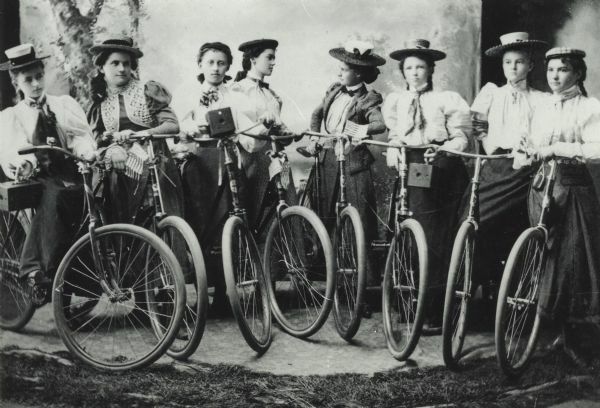 A group of women from Tomahawk, WI posing with their bicycles in 1900. Image courtesy of the Wisconsin Historical Society, image ID 98616. 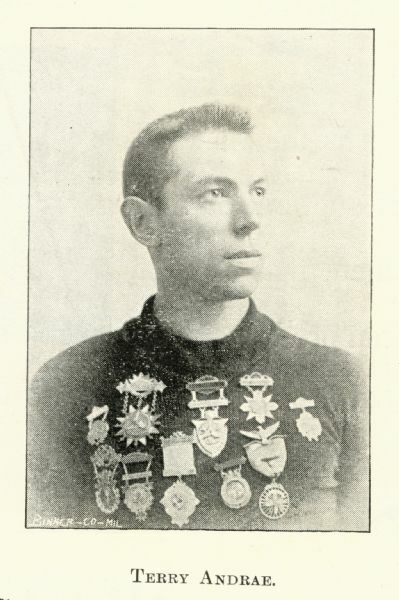 Members of the Badger Wheelmen wore a special logo pin. The logo has a bike wheel with a red five-pointed star. 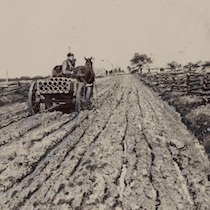 A badger sits on top of the wheel. The badger is the Wisconsin state animal. 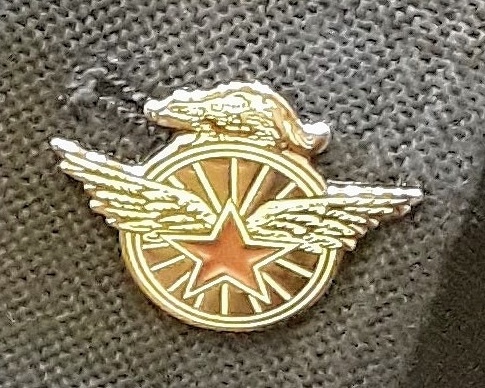 Attached to the red star is a set of wings. The wings in the logo were common in other Milwaukee cycling social clubs like the Milwaukee Wheelmen. Owning and wearing the Badger Wheelmen Pin was an honor. People today wear pins to honor groups they support. What pins do you have? Terry Andrea poses with his bike racing medals in 1892. 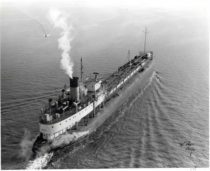 Image courtesy of the Wisconsin Historical Society, image ID 100846. 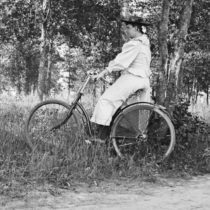 Thanks to cycling clubs, bicycle races, and a special bike called the Sterling Safety bike, people across Wisconsin caught wheel fever! These clubs made Wisconsin a leader for cycling in the United States. Learn more about the history of Victorian bicycle racing in this short video about cycling clubs in Denver.